It’s a warm August day in the hills of Pennsylvania’s Lehigh Valley, a stretch of land that forms one of the most productive non-irrigated farming areas in all of the United States. In the tank room of Jan Waltz’s winery, the better part of a dozen winemakers from across the state have gathered together for a relatively rare event for Pennsylvania wine producers: tasting their recent releases together and comparing notes. 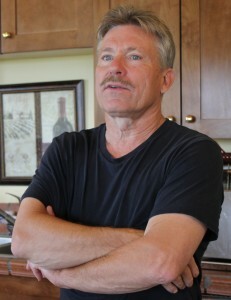 Among the ultra-modern equipment adorning Waltz’s property, Penns Woods owner and winemaker Gino Razzi is holding court. Razzi, an importer-turned winery owner, is describing his vinification techniques, to a mostly eager audience gathered casually around a long table set up for the tasting. 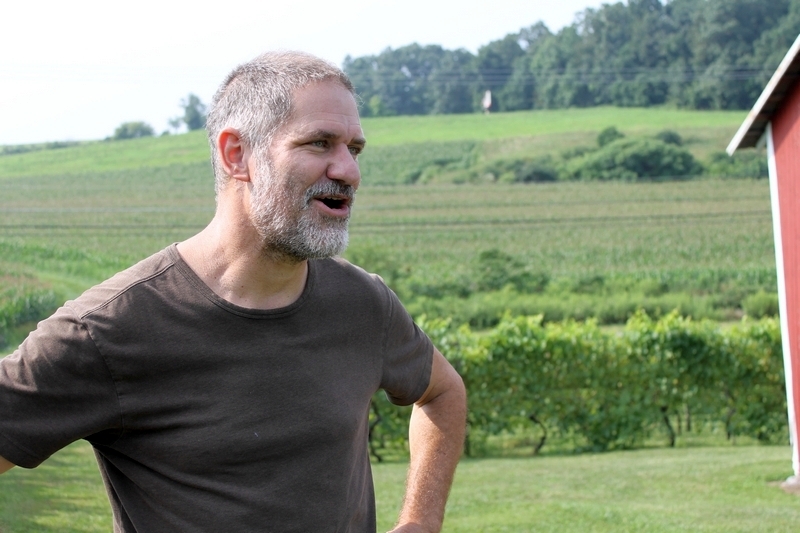 Not everyone likes Gino’s wines, but it’s obvious that they’re all fascinated by how he’s able to coax out a style that for most of them had proven totally elusive when it comes to crafting wines from Pennsylvania grapes: modern, ripe, silly and juicy. In an area of the world where ripening grapes often seems to require herculean effort, Gino’s dark, plumy, toasty and focused 2009 Cabernet Reserve stands in stark contrast to the earthy, savory, currants-and-thyme-driven reds that are the norm for the state. The Penns Woods wines are oaky, rich, extracted, and flirting dangerously close to having distracting levels of the nail polish remover odors of volatile acidity; they’re far and away the closest things to conventionally stylized wines that Pennsylvania has ever produced. Gino’s point is not that his style is superior, but that it can actually be achieved at all within the borders of Pennsylvania. 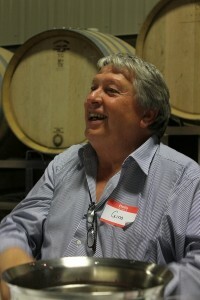 “You can’t compete with cheap wine,” he cautions the group, a warning against the most prevalent winemaking model in the state: producing sweet labrusca and hybrid wines for tourists in order to financially subsidize the production of fine wines, a scenario that forces many of the state’s producers to divide their efforts and focus. That division hangs like a sword of Damocles over their pursuit of quality and recognition in the world’s fine wine market; it could well be argued that the worst examples of such sweet wines undermine the case for taking Pennsylvania fine wine production seriously. Waltz started his vineyard with the intention of selling his grapes, supplying producers like Razzi, but got the bug to create his own modernly-stylized Mertlot and Chardonnay after tasting the results that Razzi was able to achieve with his grapes. 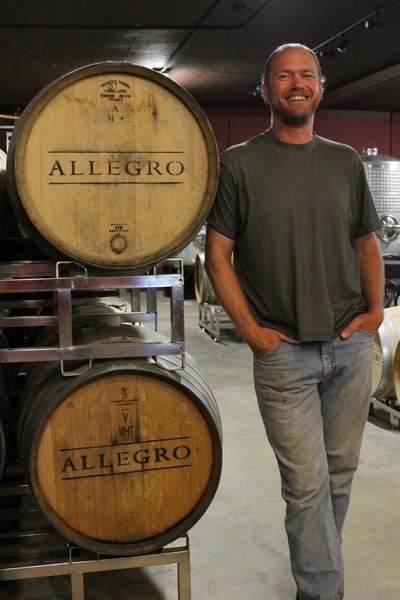 Waltz now keeps approximately fifty percent of the yields for his own label, which he began in 2000, finally building his own winery in 2008 (furnished with the modern, Italian-made equipment espoused by Razzi). Examples of solid, well-made vinifera-based wines abound in Pennsylvania, if you look hard enough: Waltz’s own 2010 Reserve Barrel Select Chardonnay and 2009 Cherry Tree Merlot, Galen Glen’s 2010 Dry Riesling, Galer Estate’s 2010 Reserve Chardonnay and 2010 Cabernet Franc, Presque Isle’s 2010 Dornfelder, Briar Valley’s Proprietor’s Red Blend, Maza Vineyards’ 2011 Pinot Grigio, Crossing Vineyards’ 2008 Cabernet Franc, and a 2010 Meritage blend from Manatawny Creek all stood out in the tastings. The wines may not be earth-shatteringly good, but one might be hard-pressed to guess they hailed from Pennsylvania if tasting them blind. Pinnacle Ridge’s Brad Knapp, long celebrated for focusing his efforts on producing high quality Pinot Noir (his 2010 was another tasting standout), is quick to point out how much more work it takes Pennsylvania than in CA simply to achieve healthy, ripe grapes. It’s a struggle he has known since establishing the winery near Kutztown nearly twenty years ago. “You make plans, and then you change them,” he says, laughing poignantly. “You have to roll with the punches, or you’re going to fail.” Vigor is “our biggest issue out here,” he notes. “Vigor brings everything else, all the other crap, like disease, with it. We have massive vintage differences, too; you go from 2010, which was hot, to 2011, which was a wet, soupy mess.” That soupy mess came courtesy of a hurricane, bringing a deluge of moisture that made all but the state’s most westerly vineyards in Erie experience fungus problems (finding a “clean” Pennsylvania white from the vintage is no easy task). While many growing grapes in Pennsylvania may pine for the steadier climes of California, several of Pennsylvania’s wineries can utter a phrase that several boutique CA producers might just kill to be able to say with a straight face: namely, we sell out every year. 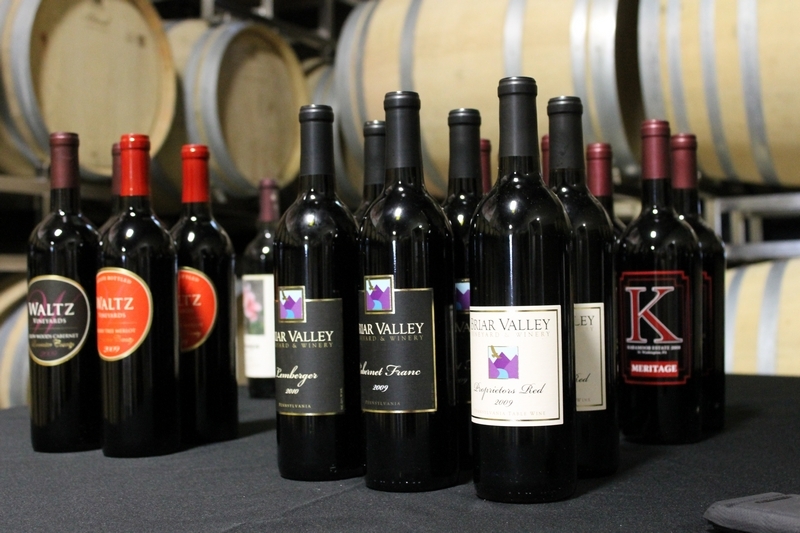 Small production volumes, coupled with the sweet wine tourist trade, is what keeps most of Pennsylvania’s top wine producers solvent, particularly in a control state that provides little support financially for the shopping of its own producers’ products to consumers within its own borders. Ironically, it’s the Pennsylvania winery with one of the most direct and deepest ties to California that exemplifies why Pennsylvania may want to continue to carve out is own unique stylistic wine path, rather than battle to match the fruit-forward styles made popular by wines from the Left Coast. Allegro, in Brogue, is one of Pennsylvania’s oldest wine producers, first planting vines in 1973, and is the original holder of the brand name Opus One (Mondavi bought it from them when the CA brand was established with the Rothschilds, including in the exchange an endowment for viticulture studies that is still in place today). Winemaker Carl Helrich is proud of Allegro’s history, and it’s unique plot of land. And he’s got strong opinions on where the future of Pennsylvania’s winemaking lies. “We’ve got really crappy soils,” he says, grinning through his beard. “The corn on the other side of the Susquehanna river is twice as high as ours. Bad for corn, but the schist, loam soils are good for grapes. “We need to be looking at France, not California,” he says, in reference to how Pennsylvania’s wines ought to be compared in the marketplace. Helrich sees little reason to chase after the ripe, fruity styles of Cabernet-based wines with which CA viniculture has become synonymous. 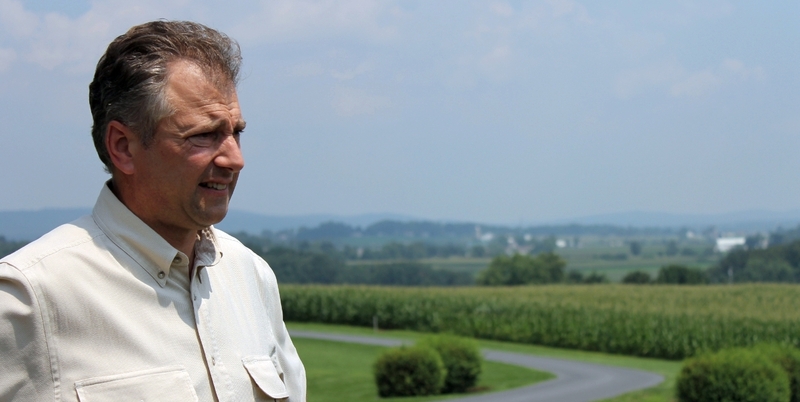 His savory, herbal, earthy, and austere reds are a testament to his stubborn resolve to be true to what he sees as Pennsylvania’s wine strengths. “We have acid here,” he proclaims. “We should be trying to be true to what we are.” To that end, Helrich is unapologetic in his blending of French-inspired reds, forging Merlot, Cabernet Sauvignon and Cabernet Franc into sinewy, savory, acidic wines that are demanding, intellectually curious and age-worthy (examples of the Cadenza blend from the 1990s are still drinkable, so there’s little reason to doubt that the earthy, tart, balsamic and toasty 2007 won’t stand up to similar aging). Joe, nice article. Any thoughts on Va La in the Brandywine Valley? Thanks, Aaron – generally, I like Va La. They were not part of this tour, but I’ve been glad to see them get some additional exposure recently in Sommelier Journal (ws NOT expecting that!). Before I was ohiowineguy working with local wineries here, I was born and raised in PA. I was very encouraged to see my old home area of Dauphin and Lancaster counties start into wine making. Although I haven’t found a wine I like so much there yet, there are signs of trying to get to a style other than nail polish or foxiness. The commenter was right in saying PA growers and vintners need to look to France (and Germany) for a model. I know there are granite and limestone undercurrents at various areas of the state, but not having enough heat every year is an issue. It’s tough to grow great fruit in an area known for great potatoes and dairy cows! Growers here have to have iron ones.